Kayaking is an incredible sport, giving you the chance to explore places you may not be able to reach on foot and giving you access to the peace and quiet of open water. However, with all the types of kayaks available, how do you know which to choose? The outdoor equipment experts at REI have some tips for finding the best boat for your needs and skill level. Recreational Kayaks: These are best for novices since they offer a level of stability, ease of use, and affordability that make them ideal for casual paddlers, photographers, or anglers. The storage area in recreational kayaks is generally fairly small, and they're not suited for open water or areas with heavy currents. 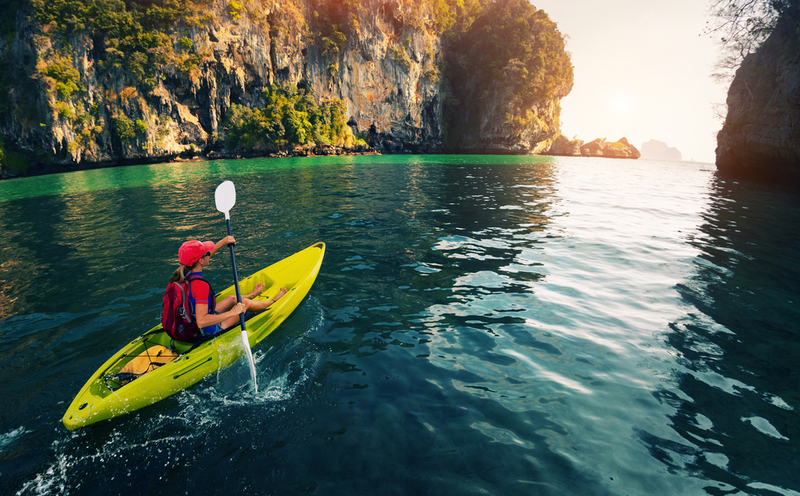 At your local REI, you'll find a variety of recreational kayaks spanning multiple price ranges, along with any other outdoor equipment you may need. Touring Kayaks: These boats are often more versatile than recreational kayaks but are often less affordable. With a more streamlined shape and sealed compartments, they're better for traveling longer distances in open water. Modular Kayaks: While just as durable as a regular kayak, these snap into several sections, making them easier to store and more portable than other designs. At REI, you'll find a broad selection of modular kayaks and an enthusiastic sales staff eager to help you find the perfect boat and outdoor equipment for you. These are just a few types of kayaks available at your neighborhood REI store. Visit their website now to start browsing their selection of camping equipment, or just drop by your nearest location today to pick up a new kayak today.